Wow I want one of these. 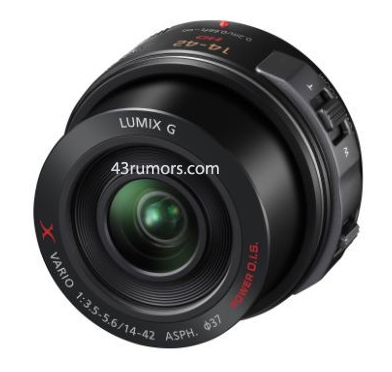 * Panasonic Lumix X 14-42mm Lens, price $399 or £350. * Panasonic Lumix X 45-175mm Lens, price $449.99 or £400. Panasonic Lumix GF3X Lens and Camera Kit, expected price <£600.<br />Availability: already abailable. 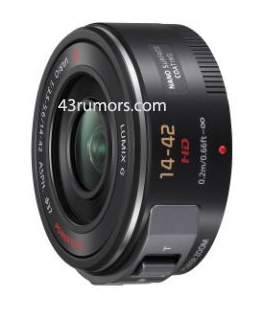 According to Panasonic the X lenses it will be fully compatible with Olympus cameras! MTF charts and Image samples of the 14-42mm X lens - http://panasonic.net/avc/lumix/systemcamera/gms/lens/g_x_vario_14_42.html. MTF charts and Image samples of the 45-175mm X lens - http://panasonic.net/avc/lumix/systemcamera/gms/lens/g_x_vario_45_175.html . 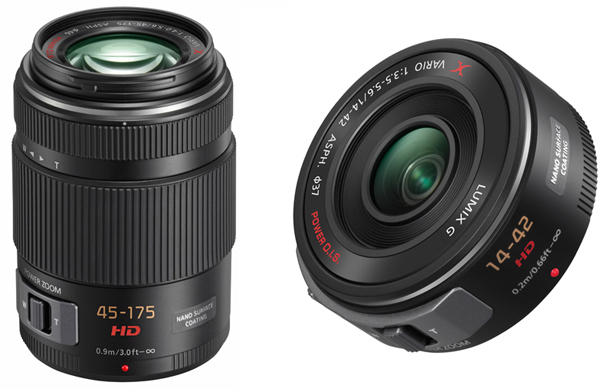 New X versus old 14-42mm lens spec comparison at SLRclub. Panasonic 14-42mm X Lens Hands-On Photos at Photographyblog. Panasonic 45-175mm X Lens Hands-On Photos at Photographyblog. Hot! Lens size comparison at SLRclub. Hot! 14-42mm X lens preview at Dpreview. Panasonic X Lens 14-42mm Hands On at ePhotozine. Panasonic Japan (translated in english). First press release at DSLRmagazine. Thanks for spotting, I'll add info from 43rumors soon. I really like Panasonic approach. Wow. Sounds expensive. Not sure about attaching a set of filter, anamorphic lens, diopter on its filter thread. Maybe not expensive, seems very desirable. good point, and it should be easier to do with a predictable zoom speed unlike the manual zooms. Power this, power that but unfortunatly still to slow :( for my job. I think to buy leica elmarit 2,8-3,5. They just made an undesirable lens desirable. However, it still has too small of an aperture. I had the 14-45mm and just couldn't find a good use for it. It was too slow for indoor pictures and didn't have enough reach for outdoors. The 45-175mm sounds cool if it is this small. I would love to have a good small telephoto lens. The focal lengths make sense as well. All of these collapsible lenses are around 4x. I doubt we will ever see a 10x collapsible lens because it still wouldn't be that short. I can't help thinking that I would still rather have me 14-140mm over these two pancake lenses. The extra 35mm in the telephoto is not that big a deal. If the power O.I.S is better that might win me over though. What I really want is a 50mm F1.8 with O.I.S. Sony did it so Panasonic can too. >What I really want is a 50mm F1.8 with O.I.S. Sony did it so Panasonic can too. However, what I do want from Panasonic, which I think would be not so big an effort, is to take the wonderful 20mm 1.7 and give it very good silent video autofocus and very good stabilisation!!! is that so much to ask? 40mm (FF equivalent) is a great focal length, the lens optically is superb, sharp and fast, it is a great all purpose lens that you can use and for portrait and for "wides" if you're stuck, it's less shaky than a 25mm lens is (50mm FF equ.) but not as steady as a 14mm would be ofcourse. So if it got good O.I.S it would be perfect, and also good autofocus for video!. For all my other lenses I don't really care, as I do narrative stuff mainly, but I would want 1 lens that would be good for run n gun docu stuff, for steadicam work etc. - 0.1 second Light Speed AF with the Panasonic GF3. - Minimum focusing distance wide open is 20cm. On the tele end it is 30cm. - 0.15 second Light Speed AF with the Panasonic GF3. - The lens has almost the same size of the Olympus 40-150mm f/4.0-5.6. For those of us who have been long awaiting for a "pro" zoom--like a constant F/2.8 aperture--this is a real disappointment. I know it is a great achievement to make it that small, but we need a fast zoooooooooooom~!! Not all of us want fast zoom lens, for outdoors over water at 1/50 i have to add huge ND just to get the 14 - 140 kit lens down to a reasonable f number for sharpness. Plus i want deep dof to capture interesting backgrounds. This will be a perfect small zoom for a waterproof housing. Luckily the 45-175mm lens still maintain the zoom n focus ring, now much usable with the availability of multi-speed zoom button. Read at the bottom part, Panasonic will release firmware v1.1 for GH2, G3, GF2, GF3 to add new functions to the new power zoom lenses in early October. 50p? come on.. it's Panasonic :-)) that is "too much" .. we have to wait for next gen. with AVCHD2.0 I think..